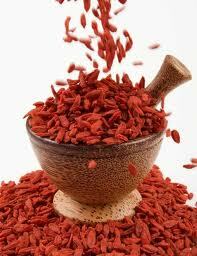 Goji Berries have been used in China and Tibet for hundreds of years. Outside of these countries they are only available in their dried state. 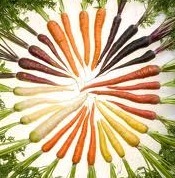 They are rich in vitamins B, C, E, beta carotene, folate, calcium, iron, potassium, zinc, fiber and omega 3 and 6. Goji berries have phytochemicals that enhance immunity, have antileukemia and anticancer properties as well as protection from atherosclerosis and diabetes. I love to eat them by mixing them with cashew nuts or almonds.